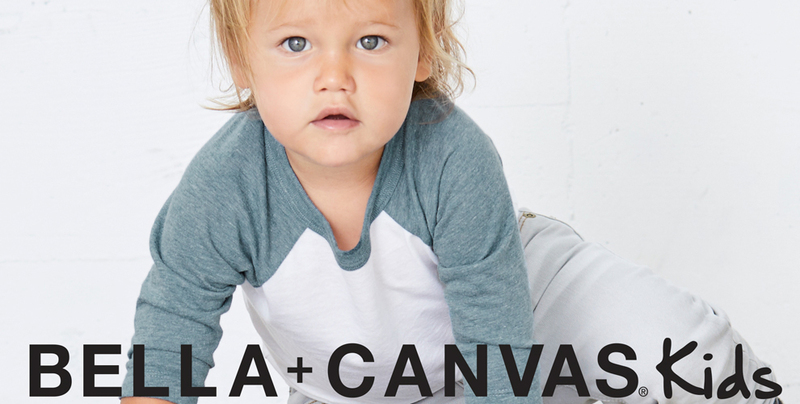 We are so excited to finally tell you about the launch of BELLA+CANVASKids! This new collection will fill a hole in the juniors’ market for quality basics. It’s filled with premium fabrics and styles you already know and love from us that are now available in baby, toddler and youth sizing! We have more than 14 styles available, including our staple 3001 Jersey Tee and our super soft 3413 Triblend Tee in all youth sizing. But that’s not it! We know how much our customers love the fashion favorites, such as our 3200 Baseball Tee and 8800 Flowy Racerback Tank, which is why those are also available in select sizing. And what about color? Well, our BELLA+CANVASKids collection has a whopping 35 colors available in our solid, heather cvc, triblend and flowy poly-viscose fabrics. What are you waiting for?! Shop our super-cute new kids’ catalog HERE!